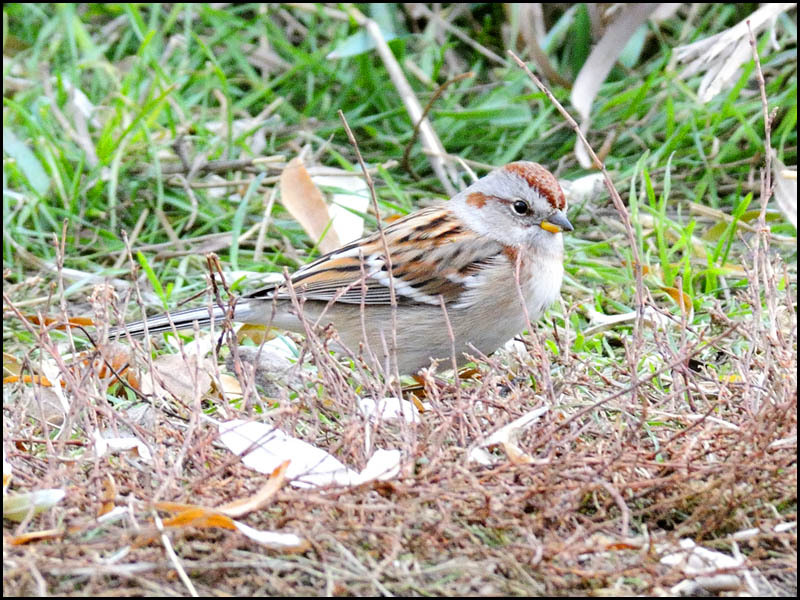 Regarding the American Tree Sparrow, I was told: "They are not rare but they are not common. We only see them in Utah for a few winter months, so people get excited to see them". 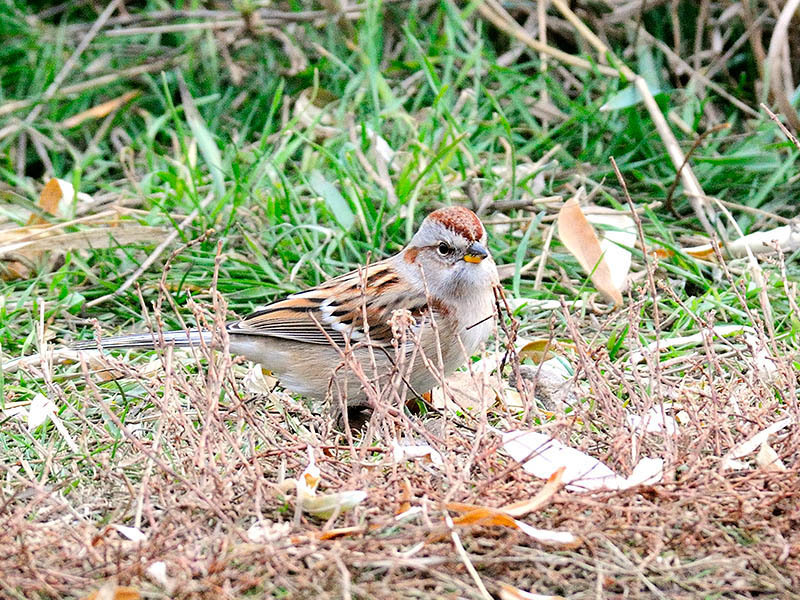 An expert's comment regarding this image : "That's a nice photo... shows the bi-colored bill well!"